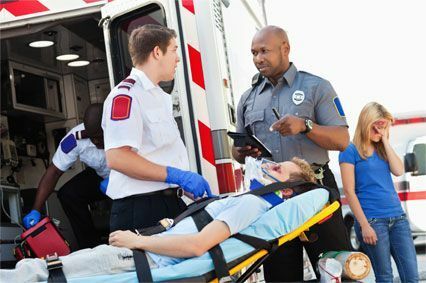 If you suffered injuries after a car accident, our Marietta Car Accident Injury Clinic is experienced in treating minor to serious injuries with a range of rehabilitative techniques. Our accident doctors specialize in successfully treating whiplash, herniated discs, back-pain, shoulder-pain, neck-pain and much more. We give patients the care they deserve and offer the necessary resources to help in every step of your injury accident claim. 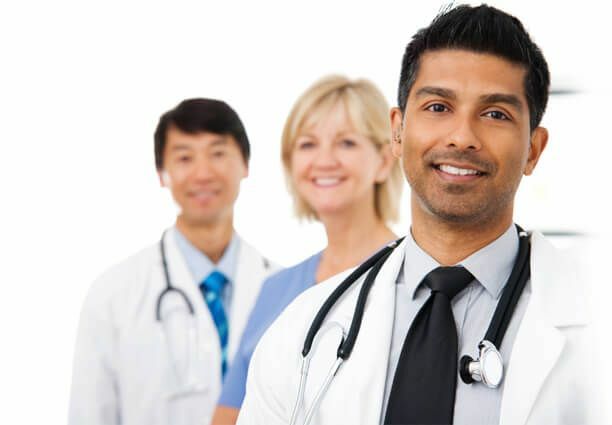 Our personal injury doctors have treated thousands of patients by building customized treatment plans for each unique case centered around their specific problem areas and pain points. Our Marietta chiropractic clinics not only offer the best technological medical advances designed for a safe and healthy recovery. We have a collaborated team of doctors, chiropractors, and attorney's ready to help you get back on your feet both financially and physically. We proudly offer our patients free consultations and affordable treatment plans. Let us help you on your path to recovery; our pain approach is gentle, safe, and always natural. The sudden force of a car collision can cause a misalignment in your spine, the nerves that exit out of that area cannot communicate effectively to the organs which cause connected cells and tissues to improperly function. Depending on the depth and nature of your injuries we may use manual adjustments to correct mis-alignments and restore proper function to the nervous system, allowing your body to heal naturally and safely. Chiropractic care restores your bodies ability to move and enhance our natural posture. Each time your body is adjusted, the bones are being set in the right place to help coordinate movement and develop better structural integrity. Our chiropractors and doctors perform treatment based on our patients inferences and preferences. We are dedicated to each patient’s comfort and rapport with our provided services, and health care assistance. In addition to balancing your bodies’ musculoskeletal and nervous system, we may offer supplemental life-style changes and rehabilitation practices to provide an optimized level of health after your injuries heal. Incorporating exercise therapy, nutrition, injury rehab, and nutritional education greatly benefits your overall well-being and lasting recovery. Most injury victims lose their claims due to improper paperwork and missing deadlines. Our experts ensure proper documentation and legal deadlines in order to collect all necessary evidence needed to prove your accident. You can't come to us? We will come to you! When your suffering injuries the last thing you want to do is spend more time traveling in your vehicle. Our attorney's meet you on-site so you can address your injuries and obtain legal help all in one spot. Rear-end collisions-These are the most common types of crashes with drivers of all ages. Rear-end crashes occur when the following vehicle hits the rear of the vehicle in front, or when the following car accelerates more rapidly than the vehicle in front of it. These types of collisions are typically caused because the driver behind is following too close to the vehicle in front. Occupants of the impacted car usually suffer greater injuries e.g., (whiplash), even when the vehicle isn't traveling at high speeds. The driver of the car that rear-ends the other car is usually considered to be at fault due to not being within stopping distance, or following too closely. Head-on collisions- When the front ends of two vehicles hit each other. Unfortunately, these types of crashes are usually fatal. Head-on impacts are common on country roads when a vehicle following another attempts to overtake, and judgment at selecting safe gaps in the oncoming traffic is lacking, resulting in an accident. Single-car accidents- Occur when only one vehicle is involved. Young drivers are twice as likely to be involved in single vehicle crashes, such as running off the road, hitting a stationary object, or rolling their vehicle over. Those accidents often result in property damage and personal injury. Side-impact collisions- Also known as "T-bone" collisions, or "broadsided," occur when the side of a vehicle is impacted by the front or rear of another vehicle or a fixed object. The type of damage sustained from side-impact crashes depends on the part of the vehicle struck. The car's safety features such as airbags and crumples zones, weight and construction of the vehicle, including materials, and the speed of the vehicles involved in the accident. Vehicle occupants on the side of the vehicle struck usually suffer far worse injuries than they would in a front or rear-end crash. Multi-vehicle pile-ups- Are accidents involving many vehicles, and usually occur on highways and freeways. These auto-crashes are often the deadliest resulting in heavy crumpled vehicles, quickly spread fire, and risk of being hit multiple times. In some cases, drivers and passengers choose to get out of their vehicles during a pile-up, increasing their chances of further severe injuries. Seeing an auto accident doctor after you have suffered a car wreck is the single most important thing you can do to preserve your personal injury claim. Don’t wait to get treatment for your injuries. Even if you don’t feel hurt after your vehicle accident seek proper medical care immediately. Don’t make the mistake of waiting or delaying treatment for your injuries. Gaps in time can make your injury claim worth much less, and may cost you a winning outcome. Receiving correct medical care and providing standard documentation is what your accident injury lawyer needs to prove your accident. Our premier physicians and chiropractic specialists offer medical treatment for injuries such as Whiplash, Neck Injuries, Back Injuries, and Soft Tissue Injuries. With chiropractic help your joints, ligaments, and tendons can recover quickly from tension and stress applied during your auto crash, calm inflammation, and safely reduce stiff and aching muscles. After a car accident injury, it’s crucial to properly document all medical treatment, reports, and bills regarding your accident. You can also build a stronger injury claim by keeping record of how your injuries impacted your regular life e.g., missed workdays, interrupted daily activities, and the impact on your family are all valuable in achieving a favorable car accident settlement. At Arrowhead Rehabilitation Clinics, our team of highly skilled car accident professionals and medical staff have been treating car accident patients for nearly 40 years. Our collaborated team of lawyers and doctors provide the proper documentation including detailed narratives and daily reports in order to recover car accident compensation for your emotional distress and pain and suffering. Many injury victims are manipulated and coaxed by insurance companies to accept low settlements and risking their rights. Finding the right car accident attorney can ensure your rights remain protected and put in good hands. Our Chiropractic Clinics can refer you to reputable car accident attorneys, who's first goal is to get you back to best possible health. They don't charge huge fees and work strategically on protecting you and your families rights. After suffering injuries you deserve financial compensation plus any additional damages lost. We understand the complex legal standards surrounding your personal injury claim and can build a strong case against the negligent party. Having the experience of a Marietta personal injury attorney who specializes in auto accidents will ensure you are protected from making costly mistakes and risking the loss of financial compensation. Neck injuries- A common form of injury from a car accident is neck injuries, which can occur in more mild forms such as whiplash and neck strain, to more serious injuries like cervical dislocation and disc injury. Back injuries- The lower back is typically the first injury of the back, following sprains and strains, herniated discs and fractured vertebrae. This injuries are often very painful and decreased mobility. Spine injuries- Damage to the spinal cord can cause significant nerve damage. Common symptoms patients experience includes: reduced sensation of and control over their arms, hands, legs, feet, and other body parts. When more serious spinal injuries occur patients have the risk of becoming permanently paralyzed. Herniated Disks-This tends to be less extreme than spinal damage and head injuries, but still very problematic. Patients report experiencing numb or tingling sensations, muscle weakness, and arm or leg pain. Headaches- It’s common for people to get slight headaches after a car accident even if they don’t hit their head on anything. This is sensible. Our bodies are simply not designed to withstand instant force put on our bodies from an auto collision. Usually, car accident headaches will go away relatively quickly, but some do not. Always seek professional medical attention to make sure you aren’t suffering any traumatic injuries or whiplash symptoms. Brain injuries-Your brain is guarded by your skull and the fluid inside. However, if you strike your head, or your body is aggressively jolted, your brain may strike the inside of your skull with great force. Brain injuries range from traumatic brain injuries to mild concussions, comas, and lasting cognitive problems. Once making an analysis of all sustained injuries, we will build a personalized treatment plan fixed to address your specific problem areas, and promote naturally healing results. Depending on the depth and nature of your injuries we may use manual adjustments to correct mis-alignments and restore proper function to the nervous system, allowing your body to heal naturally. Are you worried about how you will pay for expensive medical treatment after your accident? After an auto injury collision if you are not covered by health insurance and are unable to work due to the accident, covering medical bills may be nearly impossible. Our accident doctors work closely with Marietta Best Personal Injury Attorneys, and they don't get paid until you do. Once you are referred to an attorney who specializes in auto accident injuries; a Medical Lien will be signed on your behalf. This way you can get the effective care that you need without the hassle of bill collectors and medical costs. We will go after the at-fault parties insurance leaving you to focus on your rehabilitation and a stress-free recovery. Arrowhead Clinics take pride in putting our patients needs above our own to ensure they receive the treatment necessary to recover from an accident. 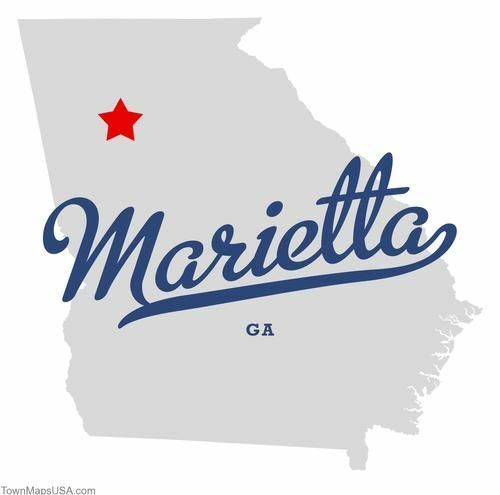 Visit Our Marietta Facility Today ! Your injuries are important and your recovery matters. At Arrowhead Clinics we are committed to each patient and personal injury case we take on. We are the most experienced in the industry and offer the best treatment options for victims of accident injuries. Don't trust anyone with your accident, it takes experience and knowledge to achieve justice and compensation for your loss. All it takes is one oversight and your accident injury case may be jeopardized, costing you financial and physical difficulties. With a combined 40 years of experience treating injured patients and 17 operating clinics including a Marietta location, we welcome you to get better with us! Call 24/7 800-961-7246, or walk-in to start your safe and natural recovery. Our Marietta Auto Accident Treatment Clinic can help you get the care you deserve, click below to schedule a time for a Free Consultation with one of our skilled accident doctors.